Hypothesis Delayed presentation of secondary airway injury is a significant clinical entity following blast injury. Setting Combat Support Hospital, Operation Iraqi Freedom. Patients Twenty-three blast injury patients with bronchoscopic evidence of secondary airway injury. Main Outcome Measures Symptom development and time frame, bronchoscopic findings, and requirement for mechanical ventilation. Results All of the 23 patients presented within 12 hours of injury. Eleven patients (48%) arrived at the hospital after prior endotracheal intubation. The majority (17 patients [74%]) of patients had no carbonaceous sputum, singed nasal hair, or thoracic trauma that would suggest possible airway injury. Bronchoscopy revealed mucosal erythema and edema in 16 (70%) of the patients, 6 (23%) had additional airway carbonaceous deposits, and 5 (21%) had normal findings on initial bronchoscopy. Eight patients (35%) initially breathing spontaneously and demonstrating no thoracic trauma required intubation within 12 hours of admission owing to impending loss of airway patency. Bronchoscopy revealed significant airway edema (>50% patency loss) in 6 (75%) of these 8 patients, with additional carbonaceous deposits in 3 patients (38%). Patients requiring delayed intubation had a significantly greater respiratory rate on initial examination. Conclusions Manifestation of secondary airway injury may be delayed up to 12 hours following blast injury. We believe that blast injury patients should be observed for at least 18 hours after injury or until edema has resolved and in a setting amenable to emergent airway support and rapid bronchoscopic evaluation at the earliest indication of possible airway compromise. Blast injury is the leading mechanism of injury in Operation Iraqi Freedom, resulting in 866 deaths and 9030 injuries among US service members between October 2001 and December 2005.1 Although this mechanism of injury is centuries old, it has reached a new level of significance in light of increased terrorist-type activity in numerous conflicts in recent decades.2,3 The Israeli Defense Forces attribute 549 deaths to terrorist bombings between October 2000 and November 2004,4 and physicians from Yugoslavia describe 1300 casualties injured by explosive devices between 1991 and 1994.5 Despite the significance of this mechanism, blast injury remains a relatively poorly understood phenomenon. Traditionally, blast injury is divided into 4 categories: primary injury results in barotrauma to organs containing air; secondary injuries result from projectiles created by the blast; tertiary injuries are due to structural collapse and fragmentation around the patient; and quaternary injuries encompass associated burns, inhalational injury, and complications related to preexisting medical conditions. Despite the simplicity of this classification scheme, clinical diagnosis can be difficult. Classic signs and symptoms such as dyspnea, chest pain, tachypnea, cough, and supporting chest radiographic findings may be subtle and underappreciated or they may be absent. Furthermore, delayed pulmonary complications after blast injury are a known but poorly described phenomenon.6,7 The purpose of this study is to describe upper airway and pulmonary symptom development along with fiberoptic bronchoscopic findings in a series of blast injury patients. The experience of 364 bronchoscopic evaluations in 150 patients by a single intensivist in a Combat Support Hospital (CSH) environment was reviewed. Twenty-three of the patients in this series sustained blast injuries with bronchoscopic evidence of secondary airway involvement. Our intensivist developed a practice of bronchoscopically evaluating all of the blast injury patients with any concerning symptoms owing to several deaths occurring in this population as a result of loss of upper airway patency during her early experience in Iraq. The remaining 127 patients underwent bronchoscopy owing to suspicion of upper airway injury following blast exposure or the development of symptoms, but they did not have evidence of secondary airway injury. Some of these patients did require intubation for airway support related to associated injuries; however, owing to normal findings on bronchoscopy, their clinical data were not recorded. Those patients with obvious head, neck, and torso injuries that may have contributed to upper airway symptoms or the requirement for mechanical ventilation were eliminated. A record review of 23 patients injured during combat and combat support operations in Operation Iraqi Freedom between May 2004 and March 2005 was conducted. Patients were admitted to a level III CSH after initial stabilization in the field or at a Forward Surgical Team site. A single pulmonary and critical care physician performed fiberoptic bronchoscopy on all of the patients in this case series, annotating the presence of airway erythema, carbonaceous deposits, mucosal friability or ulceration, foreign bodies, and significant airway edema, defined as greater than 50% patency loss. 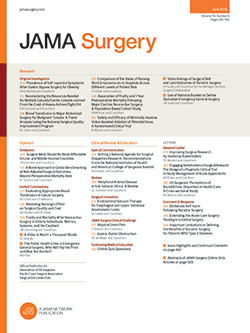 Additional data included mechanism of injury, presence of singed nasal hair or carbonaceous sputum, percentage of total body surface area burn, pulmonary symptom development, time from injury to symptom development and performance of bronchoscopy, initial hemoglobin saturation with oxygen, requirement for mechanical ventilation, and presence of an endotracheal tube cuff leak at 24 hours after intubation. Additionally, treatments implemented for airway symptoms were recorded. Patients were divided into 3 groups for analysis: those intubated prior to CSH admission, those intubated after admission, and those who did not require intubation for airway support. A χ2 analysis and t test were performed for qualitative and quantitative analysis, respectively. P<.05 was considered statistically significant. All 23 patients in this series were exposed to a blast injury, involving an explosive device in 17 (75%) of the patients, chemical-related explosion in 4 (17%), and steam-related explosion in 2 (8%). Eleven of the 23 patients arrived at the CSH following intubation in the field or at a Forward Surgical Team site. Overall, mean ± SD initial heart rate and hemoglobin saturation with oxygen were 115 ± 20 beats/min and 96% ± 4%, respectively, in the face of a mean ± SD hematocrit of 32.6% ± 7.2%. The mean ± SD serum albumin level in this series was 2.4 ± 1 mg/dL. Singed nasal hairs and/or carbonaceous sputum were identified in only 6 of the 23 patients on initial evaluation. The percentage of total body surface area burn was estimated for all of the patients, with 15 (65%) of the patients having less than 20% total body surface area burn (Table 1). Twelve patients arrived at the CSH with spontaneous respiration. In this group, only 4 patients had initial pulmonary symptoms; 1 of the 4 patients had dyspnea, 1 had chest pain, and 2 had vocal change. A single patient was found to have singed nasal hairs and/or carbonaceous sputum. Eight of the 12 patients eventually required mechanical ventilation for progressive pulmonary symptoms refractory to nebulized β-agonists, supplemental noninvasive oxygen, and epinephrine. Among the 8 patients intubated after arrival to the CSH, only 3 had pulmonary symptoms on initial assessment, and 1 patient had singed nasal hairs and/or carbonaceous sputum. Each of the 8 patients began to develop progressive pulmonary symptoms consistent with airway edema and blast lung injury 6 to 12 hours after blast exposure, with 3 patients developing symptoms a full 12 hours after injury (Table 2). Symptom development included vocal changes, chest discomfort, wheezing, and dyspnea in all of the patients. Endotracheal tube cuff leak was present in 2 of the 8 patients 24 hours after intubation. Only 4 patients in this series did not require mechanical ventilation. None of these patients had signs of inhalational injury, and only 1 patient had chest discomfort on initial evaluation. Although all of the 4 patients developed further symptoms (dysphagia, chest discomfort, and dyspnea) within 12 hours of injury, none required intubation. A limited proximal tracheal examination using a fiberoptic bronchoscope was performed on all of the 4 nonintubated patients after the development of upper airway symptoms caused concern for secondary airway injury or foreign body inhalation. The initial respiratory rate was the only statistically significant difference between those patients who went on to require mechanical ventilation and those who did not (Table 3). Fiberoptic bronchoscopy was performed within 24 hours of admission in all of the patients in this series. Cumulative findings included 5 patients (21%) with normal study results, 16 (70%) with significant airway edema and erythema, and 6 (23%) with carbonaceous deposits. An additional 4 (25%) of those 16 patients with significant edema and erythema were found to have mucosal friability and ulceration. Significant edema was defined as greater than 50% airway patency compromise. Among the 8 patients who required intubation after admission, 7 had significant edema and erythema and 1 was found to have a foreign body with associated carbonaceous deposits. All of the 4 patients who did not require mechanical ventilation had significant edema and erythema on evaluation. Among those patients intubated prior to arrival, 5 of 11 patients had normal initial bronchoscopic findings; however, interval bronchoscopy within 24 hours of injury demonstrated changes consistent with secondary airway injury in all of these patients (Table 4). Despite the significance of blast injury in recent conflict, the true incidence, pathophysiological abnormalities, and optimal diagnostic and treatment algorithm remain unclear. Each blast event is a unique situation, and the effects on human physiology can be difficult to discern. The variables influencing the extent of injury include confined vs open-space explosion, type of explosion, secondary injuries, and exposure.8-12 Clinical examination is not always a reliable tool for determining which patients are at increased risk for blast injury effects, as demonstrated by Katz et al6 during their examination of blast injury patients with and without tympanic membrane rupture and the subsequent development of blast-related pulmonary complications. In our series, 8 of 12 patients initially breathing spontaneously required mechanical ventilation for progressive pulmonary and upper airway compromise 6 to 12 hours after initial presentation. The initial respiratory rate was the only statistically significant difference between those patients who went on to require mechanical ventilation vs those who maintained a patent airway with noninvasive supportive measures. The development of symptoms consistent with upper airway edema was not a reliable indicator of which patients would require intubation despite noninvasive supportive measures, as seen in the small group of 4 patients who maintained spontaneous respiration with a patent airway despite significant airway edema on bronchoscopic examination. All of the patients in this series received the same regimen of noninvasive supportive measures consisting of supplemental oxygen, nebulized β-agonists, and epinephrine. To our knowledge, delayed presentation of airway compromise due to secondary burn from a blast injury has not been described. However, secondary airway involvement is well documented in the experience of caring for burn patients. In our series, the clinical picture, symptom development, and bronchoscopic findings support the delayed manifestation of secondary airway injury as the predominant cause for subsequent intubation and mechanical ventilation following blast injury. The utility of bronchoscopy in thermal injury patients for diagnostic and therapeutic purposes is well known.18 To our knowledge, this is the largest series to date to describe the bronchoscopic findings in a group of blast injury patients. Previous reports have described bronchoscopic evidence of smoke inhalation in those injured by explosions, but no reports describe the airway anatomic findings in detail. In this series, 16 patients (70%) demonstrated significant airway edema and erythema, 6 (23%) had carbonaceous deposits consistent with inhalational injury, and 5 (21%) had normal findings on initial examination. Interestingly, the presence of significant airway edema and erythema did not correlate with the subsequent need for intubation and mechanical ventilation. The findings of this series suggest that the delayed manifestation of secondary airway and pulmonary injury following blast exposure is a real and significant risk. Although tachypnea on initial evaluation did correlate with subsequent requirement for intubation, this clinical finding must be interpreted with caution, as pain, anxiety, and additional cardiopulmonary and thoracic injuries may be contributing causes. No patients requiring delayed intubation demonstrated subjective or objective evidence of pain or general anxiety prior to the development of upper airway symptoms. The presence of airway symptoms on initial evaluation was not a reliable indicator of which patients required intubation in this study. All of the patients who developed delayed or progressive airway symptoms did so within 12 hours of injury, with the majority of symptoms occurring between 6 and 12 hours after injury. Explanations for this may include natural progression of the blast injury, concurrent symptom development in the face of ongoing large fluid volume resuscitation, or additional unknown factors. Indeed, this study is limited owing to the retrospective nature and small number of patients evaluated. Furthermore, owing to the worldwide distribution of these service members, access to their medical records was not feasible, thus limiting our knowledge of associated injuries related to these blast events and our ability to provide common injury stratification measures or long-term outcome data. These limitations are currently being addressed with the prospective collection of more complete data in blast injury patients. Despite these limitations, we believe that this small study demonstrates a real clinical entity that both military and civilian practitioners should be aware of when faced with a blast injury patient. In summary, the manifestation of secondary airway and pulmonary injury may be delayed up to 12 hours after blast injury. Initial clinical examination and presenting symptoms are not reliable parameters for determining which patients will develop delayed symptoms and require a higher acuity of care. Bronchoscopic examination is a reliable diagnostic modality to determine the extent of secondary airway injury; however, the findings do not directly correlate with a subsequent requirement for intubation. We believe that blast injury patients presenting with limited injury severity, particularly those patients with an elevated respiratory rate, should be observed for at least 18 hours after injury in a clinical setting amenable to emergent airway support and rapid bronchoscopic examination at the earliest indication of possible airway compromise, thus providing a margin of safe observation beyond the latest known delayed symptom manifestation. Correspondence: Matthew J. Eckert, MD, Madigan Army Medical Center, Attn: General Surgery Service, 9040A Reid St, Tacoma, WA 98431 (matthew.eckert@amed.army.mil). Accepted for Publication: May 3, 2006. Previous Presentation: This paper was presented at the 77th Annual Meeting of the Pacific Coast Surgical Association; February 19, 2006; San Francisco, Calif; and is published after peer review and revision. The discussions that follow this article are based on the originally submitted manuscript and not the revised manuscript. Hugh M. Foy, MD, Seattle, Wash: The authors describe the use of bronchoscopy in evaluation of blast injuries in a Combat Support Hospital (CSH), the tertiary medical facility in Iraq. They describe 300 bronchoscopies by a single intensivist from which 23 patients were suspected of having primary blast injury. Given the setting, I would assume the entire 300 were injured patients. If so, these 23 of 300 would represent an incidence of 8%. The precise mechanisms of the blast injuries were explosive device in 75%, chemical explosion in 17%, and steam in 8%. My first question is whether these patients were involved in an open- vs closed-space explosion, a factor well known to affect severity. Nineteen of the 23 were eventually intubated, 11 in the field and 8 subsequently in their hospital. Of the 8 who arrived breathing on their own and ultimately intubated, only 3 were symptomatic on admission. This is probably one of the most important points raised, that inhalation injury is often deceptive in its presentation. Classic signs of smoke inhalation such as singed nasal hairs and carbonaceous sputum were present in only 6 of 23, or 26%. Paradoxically, airway edema, the most feared complication of inhalation injury, was present in all 4 patients who were not intubated but in only 6 of the 8 who were. I wonder how many of the 8 had flow-limiting edema, or stridor. Similarly, carbonaceous sputum, one of the best predictors of significant inhalation injury, was present in 50% of the nonintubated patients and only 38% of the intubated patients. It is not clear how bronchoscopy helped diagnose or predict decompensation of their patients. In an attempt to answer this question, the authors compared the 8 patients who required subsequent intubation to the 4 who did not. The only statistically significant predictor was tachypnea, which was admittedly nonspecific. The data suffer from very low numbers, and perhaps more patients might help identify risk factors that do predict trouble. In those 8 patients who subsequently required intubation, 7 had dyspnea and 5 had chest or neck pain, but no statistical analysis is provided for this comparison. The authors state in their manuscript, “The utility of bronchoscopy in thermal injury victims for diagnostic and therapeutic purposes is well known.” That has not been the experience in our burn unit, nor uniformly supported in the literature. In this series, 70% of the patients had significant airway edema and erythema, 23% had carbonaceous deposits, and 21% were normal. The authors remark that initial clinical presentation deceptively underpredicts further respiratory distress, consistent with other long-standing reports of inhalation injury. In summary, the paper presents a unique series of patients suffering blast injury in which bronchoscopy was performed. It raises many questions regarding the indications for this relatively technically sophisticated and time-consuming procedure and its diagnostic significance and ultimate utility. It does serve to underscore what is known of inhalation injury in burn patients—that clinical presentation best predicts the need for intubation and mechanical ventilatory support. William P. Schecter, MD, San Francisco, Calif: We just published our experience of 29 cases of blast injury from the Shaare Zedek Medical Center in Jerusalem, and in listening to your paper, I was confused because it seemed to me that you were talking about both blast injury and burn injury and upper airway obstruction from edema as opposed to pulmonary parenchymal inhalation injury and contusion. I had the chance, unfortunately, to take care of 11 blast lung injury patients personally. Every single one of them presented in the emergency department with a pulmonary infiltrate caused by the blast wave. I wanted to ask whether you were dealing with patients with inhalation injuries from inhaling hot gases, or did these patients have, in fact, pulmonary infiltrates on chest x-ray? The other thing that we saw in a small percentage of patients was left-sided air emboli due to disruption of the alveolar capillary membrane. Two of my cases had neurologic deficits as a result of left-sided emboli. So, my second question is, did you have left-sided air emboli in your patients? The third thing that we saw was chest wall injuries, including flail chest, presumably from the patient being thrown by the blast wave against a solid object. So, my last question is, did any of the patients that you had have those problems? James W. Holcroft, MD, Sacramento, Calif: It is true that this paper concentrates on 23 patients, but that comes from some 300 patients who underwent bronchoscopy and, as I understand it, something like 800 patients or so who suffered a blast injury. To my knowledge, there is nothing in the literature that even comes close to the magnitude of these numbers. One of the things that I found striking was that many standard clinical and laboratory measurements were of little value in predicting the need to intubate the patient. Presumably, some of these patients would benefit from early intubation, but singed nasal hairs, low arterial hemoglobin saturations, and even some of the findings on bronchoscopy were of little value in predicting ultimate need for intubation. The respiratory rate, on the other hand, was potentially very valuable in this regard. It seemed to provide a clean break between those patients who eventually needed intubation vs those who didn’t. Do you think that early intubation is advisable in patients with a blast injury and a rapid respiratory rate? If the patient was doing well 12 hours later, you could extubate them at that time. The potential advantage with this approach would be that you might be able to maintain functional residual capacity and prevent the development of atelectasis. Dr Azarow: Dr Holcroft just hit the crux of the issue. How do I identify the patients and when to intubate, and perhaps if I tell you my initial experience, my very first week in Baghdad, you will know how I got the idea for reviewing this series. I had been in Baghdad less than 48 hours at the 86th Combat Support Hospital, and we had 25 patients come in from an ice factory explosion, a variety of burns, blast injuries to the lung, etc. We had about 4 patients who seemed uninjured. On evaluation, they looked fine and so we put them in the hallway ready to evacuate them back to duty. While taking care of the rest of the patients, I came out of the operating room and came across these guys waiting for their rides. So, I simply asked how they were doing, when the soldier closest to me said, “You know, sir, it's been really not that big of a deal being here except that I can't seem to swallow right now.” This was exactly 12 hours after the injury. He had already had a meal and it went down fine (this was about 6 hours after the injury). Immediately prior to my question, he attempted to have a drink of water and he couldn't drink. So, I replied, “Do you mind if we just take a closer look at you?” We barely got the endotracheal tube in. That led me to go to our pulmonologist, who was doing all of our bronchoscopies at the time. I asked Dr Clagett if she had been tracking her procedures during her entire deployment (she had been there for the 6 months prior to my arrival). Upon confirmation, I asked if she minded if I took a look at the database and had 1 of my residents evaluate. That's how we arrived at the series. Dr Holcroft, early intubation may be an answer. We were unwilling to go that far, but we did have an immediate clinical algorithm that anyone who was involved in this mechanism of injury stayed in our hospital for 18 hours before we sent them back to duty just so that we could make sure. Perhaps as we collect more patients, we will move toward early intubation in patients with rapid respiratory rates. To answer Dr Schecter's questions, thank you for your comments as well. We did differentiate between primary lung injury from the blast and airway injury, and really that was the point of our paper. Primary lung injury is well described in the literature. They do have pulmonary infiltrates. You can follow them. It is well known that the pulmonary infiltrates develop a little bit delayed and then persist long after the patient gets better. There have been textbooks written about this. Probably the most comprehensive volume is written by editors Bellamy and Zajtchuk, volume 5, Textbook of Military Medicine, on ballistics, blasts, and burn injuries. However, nobody really talks about the airway. Everyone concentrates on the lung. So, to answer your question, we separated them out and isolated primary lung blast was not included in the 23, but certainly they comprise the majority of the approximately 364 patients. Many of the patients had multiple bronchoscopies, so the total number of patients was just at 150 as I am recalling, while 364 was really the number of bronchoscopies. There was no evidence of left-sided emboli that we could see, and flail chest was a significant issue in our patient population, which leads me into Dr Foy's questions. Dr Foy, the denominator you are looking for is 150. The numerator of 23 consisted entirely of closed-blast injuries. The next question had to do with stridor. Really, there was no stridor initially in any of the patients who were nonintubated. This really developed much later on, and then this was again part of the issue and some of the teaching points that you brought out in your comments. We would have loved to have had larger numbers, but when we narrowed it down to the closed blasts and those focusing just on the airway injuries, the numbers got very small very quickly. Lastly, it is really not that difficult to do bronchoscopies in this area. All you need is the scope. We did not have a specific light source. The light source was a penlight usually held to the end of the fiberoptic cable port and it did supply very adequate light, and toward the end of our deployment, we actually put it on a TV screen. So despite the austere environment and restricted supplies, it was a very easy evaluation to do, but as Dr Eckert pointed out in our conclusion, the initial bronchoscopy really doesn't tell you what is going on. You have to look at the overall patient, and the vital sign that gave us the best clue in retrospect was the respiratory rate.